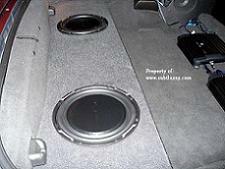 2005-2013 C6 Corvette Convertible dual upfire 10 sub box. 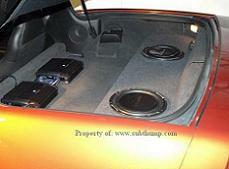 Now you can install two subs in your C6 Corvette Convertible more affordably than ever before. The design is slighty different from the coupe due to the 2-piece design. Installs easily and locks in behind the fenderwells. 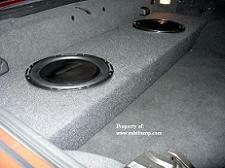 Makes for a great install with lots of bass.